Deptford Township has a rich history, richer than most people know, and a lot of it is housed in the Museum Of American History at 138 Andaloro Way. That is evident in its recent World War II exhibit, which opened earlier this month and will run until June 2. 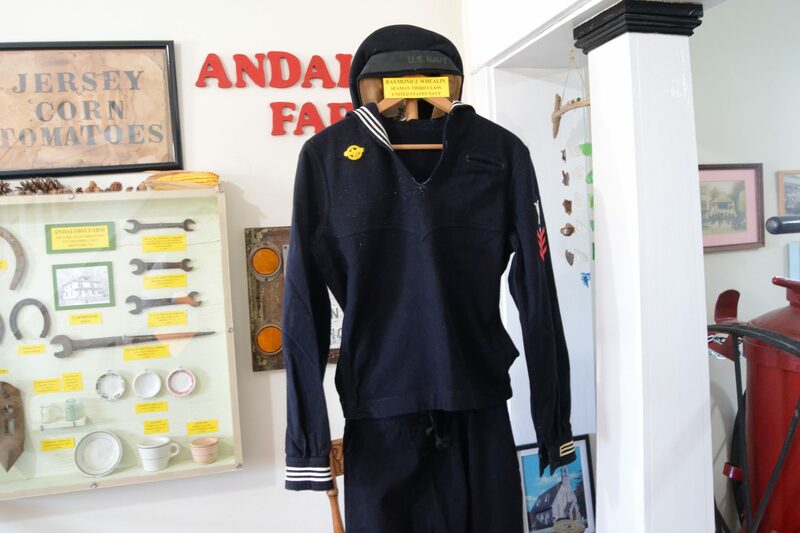 The exhibit is made up of various items from World War II, like clothing and uniforms worn by soldiers. Items range from newspaper clippings from the Philadelphia Daily News and the Philadelphia Inquirer detailing the immediate aftermath of the attack on Pearl Harbor and declaring war to propaganda posters from the war office to sway support for the Allies. The owner and the man behind the museum is Jeffery Norcross, curator and archaeologist. Almost all the items in the museum have been curated by him. He was finally able to establish the WWII exhibit with some help. “I curated the stuff, and my friends put the word out that we needed World War II stuff because we wanted to open the exhibit up,” he said. Some of the items were also loaned from the community, like a framed poster of names and photographs of all the men and women who returned safely from active duty to Deptford Township. It was loaned by Blessed Hope Community Church, which is down the road from the museum. 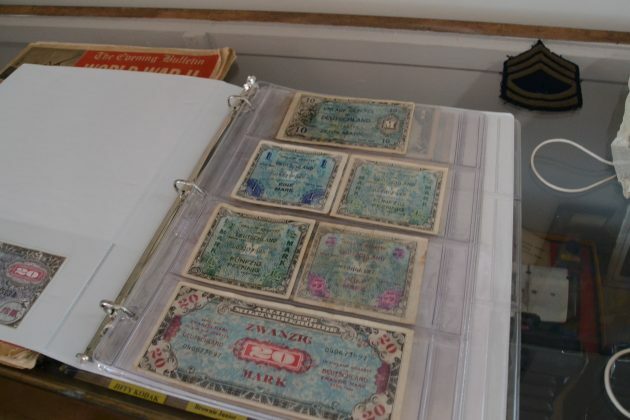 Other fascinating items include a genuine Nazi flag that was taken from a German soldier during World War II. Whenever the Nazis would take over a town, they would place the flag outside the mess hall to let people know it was conquered. The museum has curated letters written to and from American soldiers during the war. The letters are on display behind glass, but there is a book with copies for guests to read. A collection of U.S. coins at the museum dated back to the era explains how the need for resources such as metal was pivotal for the war effort. “During the war, they needed copper, so in 1943 they didn’t have copper in pennies, they had steel. From 1942 to 1945, they needed nickel, so they made nickels out of silver,” said Norcross. Ed Kalinowski, a member of the Deptford Board of Education, whose father fought in the war, is a fan of the museum. “I’m glad to see there is an interest from that conflict. When I was in school, I always enjoyed history, and it’s nice to see that those veterans aren’t forgotten,” said Kalinowski. Kalinowski loaned a scrapbook that had belonged to his father, John Kalinowski. He wanted to share his father’s accomplishments where they would be appreciated. “I thought I got a pretty neat scrapbook from my father, so I brought that in and we looked through it, and there was some pretty neat stuff in there. One of them which I really cherish is a raw footage photo of the Enola Gay. It’s not a copy, it’s an original that’s one of the things is on display,” he said. This is Kalinowski’s second time loaning the book, having done so the previous year. Kalinowsk’s father was in the Army Air Force and stationed on Tinian Island, located in the Northern Mariana Islands. He was a staff sergeant with the 568 Division, Air Engineer Squadron. He was an airplane woodworker who supervised a crew of eight men who did all the repair and construction of anything that had to do with the woodwork of the airplanes. Kalinowski worked overseas for 13 months and received various medals before returning home to Camden. The war had a major effect on families, and that is something Norcross experienced personally when his father went to serve in the war. Norcross spoke about his father, Richard Harry Norcross, who was stationed in the Northwest Territories in Canada. “The Japanese were flying over, this is the difference between us and them, trying to bomb us they would run out of fuel and crash. His job was to go out and try to save them. He would take his dog sled out and try to save them,” he said. His efforts were sometimes successful, but other times he couldn’t get there in time to save the person before they froze to death. The stories you find from that era are partly what gave Norcross the inspiration to make an exhibit. 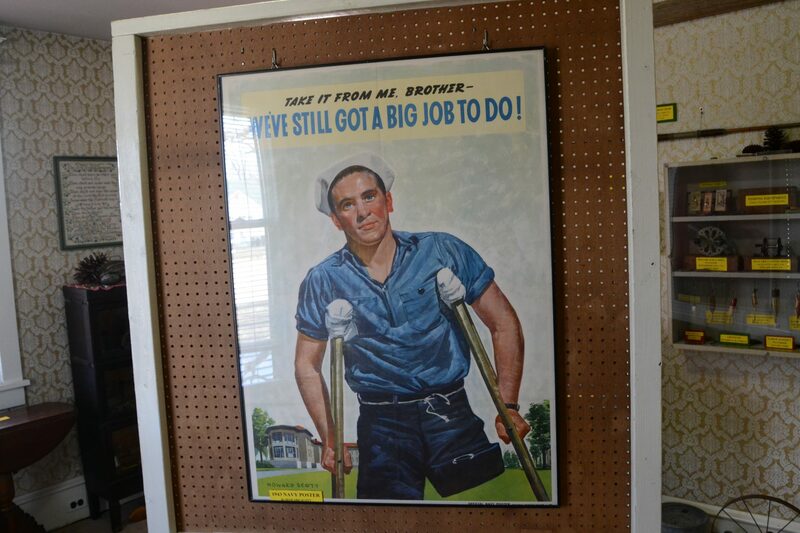 Norcross got a different reception with his World War II exhibit. “There wasn’t much civil unrest with the World War II era, everybody pulled together,” he said. As an archaeologist, Norcross’ life has been about preserving history, but also learning about it and sharing that knowledge. That is something he also passed to his interns. 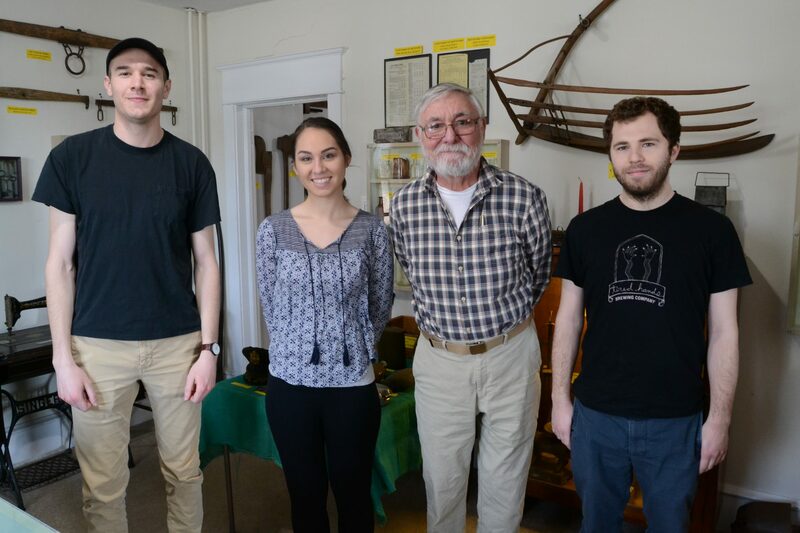 Michael Voyack, an intern from Rowan College, was pleasantly surprised about his experience so far working at the museum and his mentor’s tenacity for teaching. Cameron Reeves, another intern from Rowan College, shares similar feelings toward her time at the museum. The museum is open Thursday through Sunday from 10 a.m. to 3 p.m. Visit southjerseymuseum.org for more information about the museum and its current WWII exhibit.